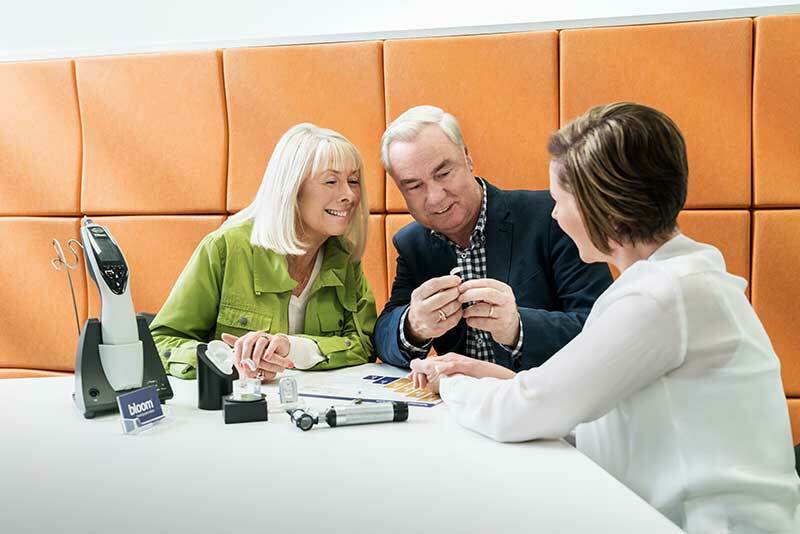 20% off selected hearing aids only – 220/330/440 EVOKE. This offer cannot be used in conjunction with any other offer or discount. The offer is available for Southern Cross Health Society members but not on top of the 10% member discount. The offer expires 31 March 2019 – your fitting must have been completed by that date. a. This ‘Refer A Friend’ promotion (RAFP) is offered by bloom™ hearing Limited (NZBN 9429030584259) of Level 16, The Aig Building, 41 Shortland Street Auckland New Zealand 1010 (bloom™). b. By participating in the RAFP you agree to be bound by these Terms. c. The RAFP will be open from 22 March 2019 to 30 September 2019 (Promotion Period). (iv) the Referred Customer must quote the Existing Customer’s full name, email and phone number at the time of booking the Appointment and / or at end of the Appointment (Full Details). If the Referred Customer cannot provide Full Details which match the Existing Customer's details on the bloom™ system, the referral will not be valid. e. For the avoidance of doubt, the Referred Customer must be a new customer (not a previous or existing bloom™ customer). An Existing Customer may make referrals to an unlimited number of Referred Customers. The RAFP is not available to employees of bloom™. a. Each Existing and Referred Customer that meets the criteria set out in paragraph 1(d) above will receive a $50 Gift Card (Reward). b. The Reward will be delivered by a tracked delivery service to the residential address given to bloom™ (at bloom's™ cost). Processing and delivery of the Reward may take up to four (4) weeks from the time the Referred Customer has purchased their hearing aids. c. If bloom™ cannot offer the Reward due to events beyond its reasonable control, it will contact the Existing and Referred Customer and offer a reasonably comparable substitute to the Reward. a. bloom™ collects personal information in order to conduct this RAFP. If the information requested by bloom™ is not provided, bloom™ may not be able to provide requested goods or services and the individual may not be able to participate in the RAFP. c. In administering the RAFP and for related purposes, bloom™ may disclose personal information to its related entities, agents and service providers. Some of these are located overseas, including in Denmark, Singapore, South America and New Zealand. d. bloom™ will not provide the Existing Customer with any information relating to a Referred Customer, except for the fact that a Referred Customer has purchased hearing aids and that the Existing Customer is therefore entitled to receive the Reward from bloom™, in accordance with these Terms. a. bloom™ reserves the right to cease and / or revoke the RAFP or substitute the Reward offered with another item of the same value at its sole discretion from time to time and without notice. (ii) the expiration of the Promotion Period. c. To the extent permitted by law, bloom™ will not be liable to any person for any cost, loss, damage, liability, expense or claim arising, whether directly or indirectly, in connection with the RAFP. Any dispute or situation not covered by these terms, will be resolved by our management in a manner it deems to be fair (acting reasonably).